Tim Trimbach With Trimbach TV: Tips from Tim. Tim talks about drooping roof fabric and the best ways to fix as well as take care of it. Tim Trimbach with Trimbach TV: Tips from Tim. Tim talks about shopping for safe vehicles and what sources to use to find the best ones. 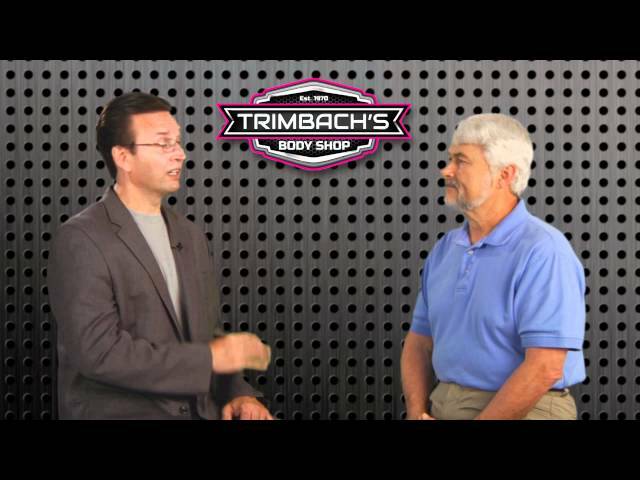 Tim Trimbach with Trimbach TV: Tips from Tim. Tim talks about the common worries or concerns that customers have when coming into the shop and puts those stresses to rest. 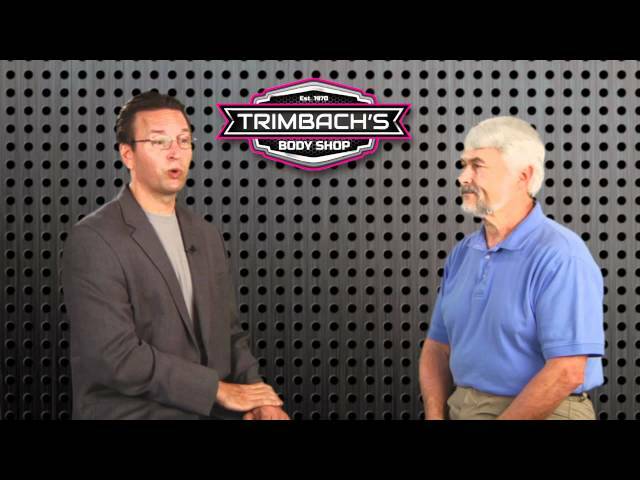 Tim Trimbach with Trimbach TV: Tips from Tim. Tim talks about the dangers of bad body shops, and what to watch out for when you are searching for a body shop. Using Off-Brand Parts: Is It Ever Okay? Tim Trimbach with Trimbach TV: Tips from Tim. Tim talks about the use of off-brand parts in car repairs, and the potential dangers that it can cause. 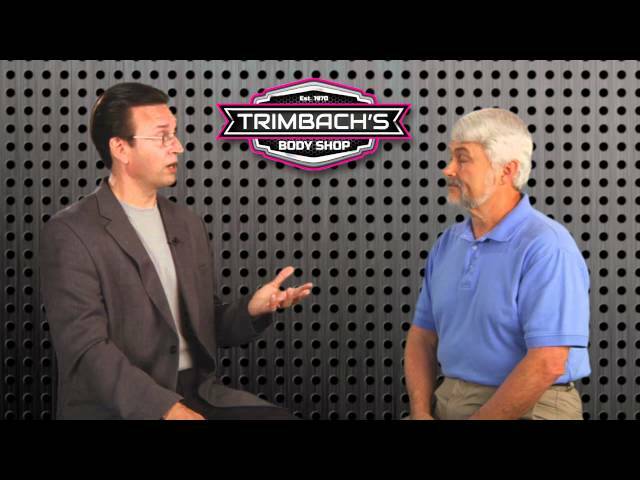 Tim Trimbach with Trimbach TV: Tips from Tim. Tim talks about distracted driving and the damages it can cause. Can You Fix A Bent Frame? Tim Trimbach with Trimbach TV: Tips from Tim. Tim breaks down the two types of automobile frames, and what to do if your frame is bent. Tim Trimbach with Trimbach TV: Tips from Tim. Tim talks about used car shopping, and how to tell when a used car has been wrecked. 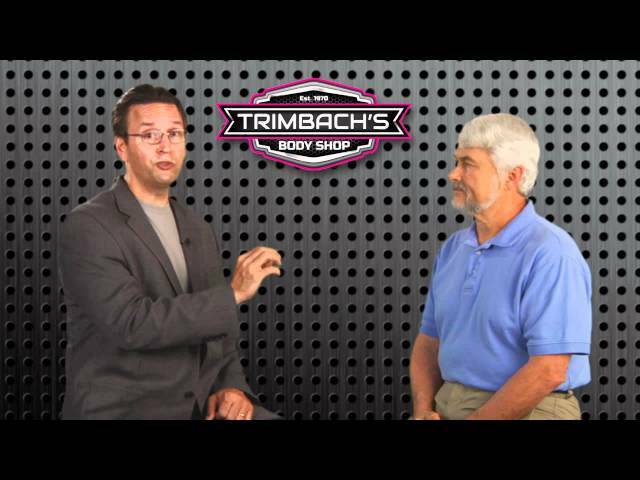 Tim Trimbach with Trimbach TV: Tips With Tim. Tim talks about how to repair rips in your interior, interior repair kits, and when it is best to seek the help of a professional.